Whenever I hear that initial synthetic hum of Baroque Hoedown, it is impossible for my imagination not to immediately transport me back to a much coveted curbside location on Main Street U.S.A. in Walt Disney World’s Magic Kingdom. In that freshly darkened space, thousands of twinkling lights become apparent in my mind’s eye and my memories return to a time and place where for at least a brief period of time, magic and wonder were every bit as tangible as the smell of popcorn and the joyful giggles of small children. That is the power of music. And most especially the music that has been the soundtrack of the Walt Disney World and Disneyland resorts for last half century. 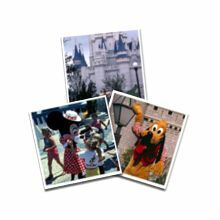 For the past thirty years I have been a passionate collector of Disney theme park music. 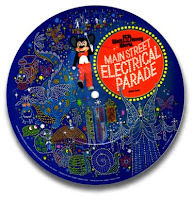 I began my collection in 1976 when I purchased a picture disc record of the Main Street Electrical Parade that was as every bit as cool to look at as it was to listen to. Yet my attachment to this very specialized genre actually stretches back even further. These very sentimental roots can be found originating in my tender youth with a battered and scratched hand-me-down record album entitled A Day at Disneyland. Many of my fellow baby boomers no doubt also remember the bright record-grooved circular designs that were a trademark feature of a series of albums from the late 1950s/early 1960s and bore the Disneyland Record High Fidelity label. These LP’s displayed the A Record and a Picture Book brand and folded open to reveal eight brightly illustrated storybook pages. I owned a few in the series, but A Day at Disneyland was by far my very favorite. 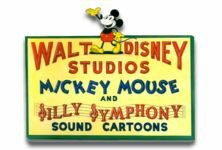 It was on this record that Walt Disney and Cliff Edwards (in his Jiminy Cricket persona) took me on a land by land tour of Disneyland. Being a child of Pennsylvania, the Happiest Place on Earth was a distant and exotic place and so that scratchy piece of vinyl was at the time my only means of visitation. In 1987, I purchased the cassette tapes of The Official Album of Disneyland/Walt Disney World and The Official Album of EPCOT Center---and within a year wore them out completely. 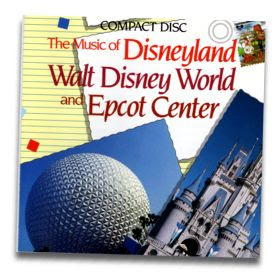 It was fortuitous then that in the fall of 1988 Disney embraced the still very young compact disc format and released The Music of Disneyland, Walt Disney World and Epcot Center. 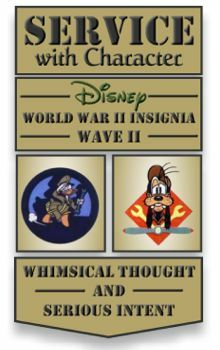 The 1980s represented a real watershed time in the history of Disney theme park music, and it was certainly embodied in the release of this particular CD. Here you had classic Magic Kingdom music that included selections from the Haunted Mansion, Pirates of the Caribbean and the Country Bear Jamboree, combined with very new and fresh music from EPCOT Center--"Tomorrow’s Child", "Listen to the Land," "New Horizons," "One Little Spark," "Kitchen Kaberet" and "Golden Dream," just to list some of the selections. The collection’s only distinct flaw was that it did not carry over the wonderful and rousing EPCOT "Main Entrance Medley" that had been included on the earlier EPCOT LP/cassette. 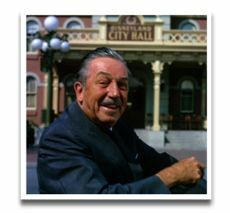 Most importantly, The Music of Disneyland, Walt Disney World and EPCOT Center established the groundwork for the subsequent succession of theme park collections that have since been released over the past two decades. 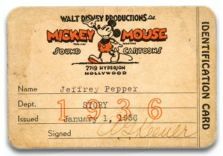 And why do I and so many of my fellow Disney Park enthusiasts cling to our Walt Disney World and Disneyland music collections, carefully caring for them, preserving them and ultimately digitizing them into immortality? They are the soundtracks of our memories. They are the magical time machines that transport us to those wonderful and joyful moments in our lives we would give anything to relive again and again. Clapping our hands energetically to the Country Bear Jamboree. Experiencing the sheer spectacle of Pirates of the Caribbean while the strains of "Yo Ho Yo Ho" resonate among the elaborate sets and engaging animatronics. Forever associating the melody of "It’s a Small World" with the wide eyes and broad smile on your young child’s face. 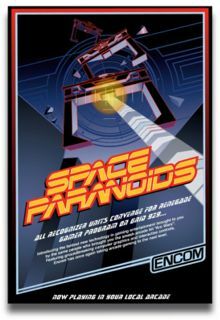 Allowing the ever-optimistic messages of "Tomorrow’s Child" and "New Horizons" to never let you give up on those idealistic positive views of the world and the future that EPCOT Center so firmly planted in your psyche. And remembering the tears that fell across your cheeks the first time you heard "We Go On" at the conclusion of Illuminations: Reflections of Earth, and how, if only for a brief and emotional moment, it restored your faith in the future of mankind. A power that can be found in circular pieces of black vinyl that hiss and pop, or in strings of characters that access content on a computer’s hard drive. The power to turn off all the lights on Main Street U.S.A. in a Magic Kingdom of your memories and imagination. And watch that very magical parade again for the very first time. I look forward to the day when the Disney company re-embraces music again, and loses its lame attraction to musicals. The music of the parks work so wonderfully well to transport visitors away from the real world. 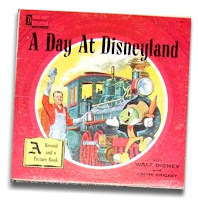 When I was about 6 or 7 (1981) my friend down the street had the Official Album of Disneyland/Walt Disney World on cassette with a book to go along with it. I'd have everyone on the street bring any stuffed teddy bears they had over to that friends house and we'd build a stage out of cardborad bricks and stuff bears into every nook and cranny we could build. Then I'd grab a flashlight, kill the lights, and play the Country Bear Jamboree music putting the spotlight on whichever bear was singing. It was a little piece of Disney World on our own street. Great Albums...all of them. My own cassette of The Offical Album is just about worn out. Luckily, I've got the CD to back me up! I've always been a fan of the park music. It kind of works the way a soundtrack does for a motion picture. I'm fascinated by the way the music compliments the atmosphere of an attraction or a particular area of a park. Plus it's amazing how we remember the tunes long after the trip to the park is over! I first noticed the all-inclusiveness of the music at WDW while watching a home video from 1997. We were waiting to catch the ferry at the Magic Kingdom and I was just taping the surroundings. It wasn't until we watched the tape that we realized that there was music playing. And now we notice it everywhere! Jeff, nice way to capture the appeal of theme park music. 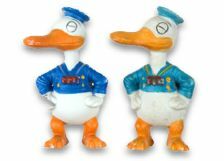 This is the very reason I was inspired to write my Disney Magic Falling on Deaf Ears blog post. I was told by Lou to keep an ear out for the episode on the WDW Radio Show where you talked about park music. I am, sadly, quite behind on my podcast listening (I can blame my wife and co-blogger Enchanted Rose for this because she gets upset if I listen to the episodes before her). I hope to be getting to this episode soon. Good to know someone else out there feels this passionate about WDW music. Great post as usual. I always have to prepare myself for reading your posts since it usually results in me scrambling to find out more or in this case, searching all over the internet for the music you mentioned. So far, no luck with the ones you mentioned, but I will keep looking. Covered Wagon Ride "Westward Ho The Wagons" - "Old Betsy"
Golden Horseshoe - "Slue Foot's Hoe Down"
River Boat Ride - "Farewell"
Finale - "Balad of Davy Crockett"
Snow White Ride - "Whistle While You Work" - "Heigh Ho"
Peter Pan Rde - "You Can Fly"
Storybook Land - "Alice in Wonderland"
Finale - "When You Wish Upon A Star"
P.S. 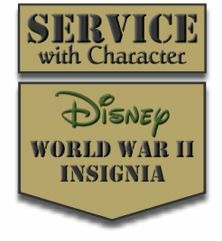 While you and Lou where discussing the queue at Jungle Cruise on the DSI of Show 24, my family and I were at the parks and I was making a nusance of myself by reading and observing as much detail as possbile in that queue and many others, and I have the pictures to prove it!! I don't ussually talk about the site but I know many people are looking for theme park music. 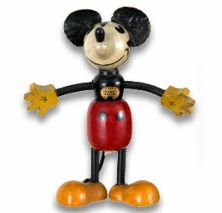 I am a moderator, screen name eatmon74, over at uabmagic.com we are a free site that streams Disney theme park music. 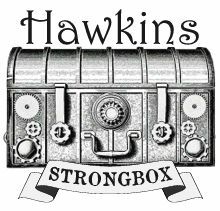 We would love to have everyone check us out. Again I love your blog Jeff. Thanks everyone for all the great comments. It seems that music is truly one of the great shared passions of Disney fans. "Thanks everyone for all the great comments. It seems that music is truly one of the great shared passions of Disney fans." Absolutely...and not only those fans who spend hours each week posting online about the parks. Perhaps because much of the music is so subliminal yet so integral to the Disney experience, even casual fans of the parks grow a strong attachment to it--whether they know it or not. It never ceases to amaze me that I can play or hum one of the lesser-known park tunes around a casual fan and almost instantly watch them light up in recognition. You can just tell it's taking them right back to the same place it takes you. That's pretty powerful. I liberally dip into my Disney theme park MP3's at work to "find a happy place" in the midst of the mahem of a deadline oriented job. Really makes a difference! Also on the weekends when we are out and about we crank up Spaceship Earth and El Rio del Tiempo soundtracks and with enough imagination you could ALMOST be back at the parks. 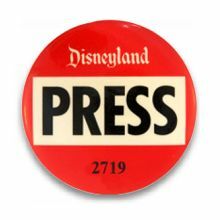 You can listen to "A Day At Disneyland" with Walt Disney And the voice of Cliff Edwards as Jiminy Cricket at Sorcerer's Workshop.org, just go to the "1958" link. 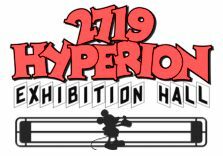 You will also find many other audio treasures, spiels, and scripts from vintage and vanished attractions as well. Brilliant! I have that very Music of Walt Disney's Magic Kingdom and Epcot CD and it's positively irreplacable. Of course, I originally had it on cassette tapes because practically no one had CD players when I first picked up that gem in like 1989. It's my favorite of the theme park albums. I wish some of those attractions were still around to enjoy, but at least we still have the music. Thanks so much for your great post. It really took me back. I could not imagine Disneyland/Disney World without music. It is an incredible part of the parks, though many people are not aware of much of it. Of course, as a composer, I may be biased... But I see comments in here to back me up. 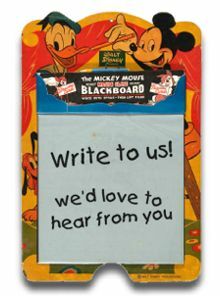 I do, however, have a hard time when the folks at Disney update and change the music to some of our most nostalgic attractions such as The Tiki Room, If You Had Wings, Carousel of Progress (remember 'Now is the best time...'?)... And how about the many available versions of the Main Street Electrical Parade... My favourite remains the one issued in the 1980 Official Album LP. Goodbye Leo . . .